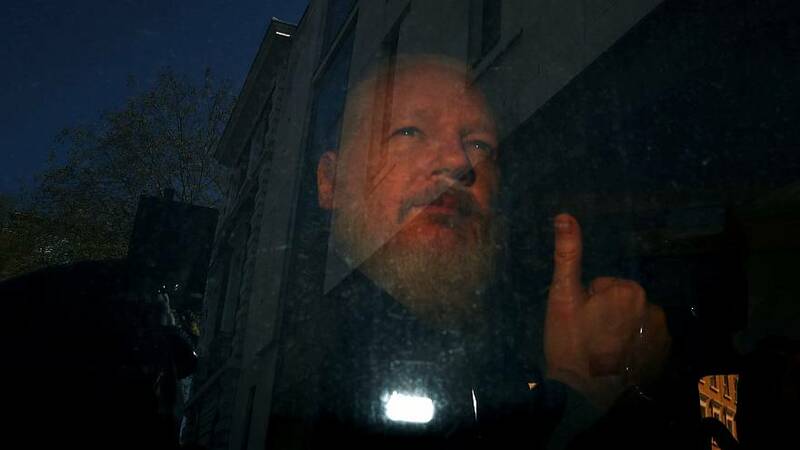 WASHINGTON — Federal prosecutors filed criminal charges against WikiLeaks founder Julian Assange in late 2017, more than two months earlier than the indictment disclosed when he was arrested last week, newly released court documents reveal. But charges for the same offense were actually filed in secret on Dec. 21, 2017, in federal court in Alexandria, Virginia. The 26-page affidavit accompanying the charges listed what it said were hundreds of online exchanges between Assange and Chelsea Manning, the former Army private who provided hundreds of thousands of government documents, many of them classified, to WikiLeaks. But the Trump administration took a different view and began exploring other ways to seek Assange's prosecution. As early as April 2017, Jeff Sessions, then the attorney general, said arresting Assange was a priority. The Trump administration's first CIA director, Mike Pompeo, called WikiLeaks "a non-state hostile intelligence service." Ecuador's foreign minister said Monday that it was not unfairly targeting Assange when it revoked his asylum last week, calling his behavior "undeserving, disrespectful." Jose Valencia said his country made a sovereign decision to revoke Assange's asylum over concerns about possible computer hacking in Ecuador.